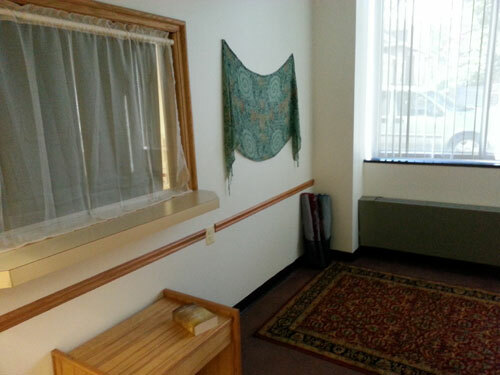 The Interfaith Prayer Room in the Library was created during the summer of 2013 in response to student need and is a quiet, reflective space for all members of our community to enjoy. It is located at BL-021, in the lower level of the library, along the rear wall, next to the Emeritus Suite and along the Hughes Avenue side of the building. Kindle e-book readers are now available for Canisius College students, faculty and staff to borrow from the Library at the Circulation Desk on the main floor. A valid college ID card is required and a library record in good standing. Kindles have a loan period of 14 days and are non-renewable. Checkout of a Kindle includes the device itself, a protective cover, a two-part A/C-USB adapter cord, and a Quick Start booklet. Want to book a library instruction session for Fall? Read more about Want to book a library instruction session for Fall? The ALB Library is offering a series of workshops throughout the semester to help students use library resouces and write better papers. Trying to figure out the difference between scholarly, popular, primary, and secondary sources? Come to the Evaluating Sources workshop at ALB Library on Monday February 20th @ 6pm. A borrower must have a valid Canisius College ID card and be a registered student, staff, faculty member or Alumni with a photo ID to charge out library materials. ID cards are non-transferable. If your ID card is lost or stolen, immediately report the loss to Public Safety at 716-888-2330. I.D. cards are available at the Office of Public Safety in the lower level of Bosch Hall. Graduates of Canisius College may borrow up to 5 books at one time for a four (4) week period. A University ID number is required. Computers and online databases can be accessed on campus when available. Access to online databases from off campus is not allowed due to license contracts restrictions.